Higgledy Piggledy entertains your budgie with leather strips, colored cotton ropes and fancy colored wooden plates. This toy was colored by using food colors. 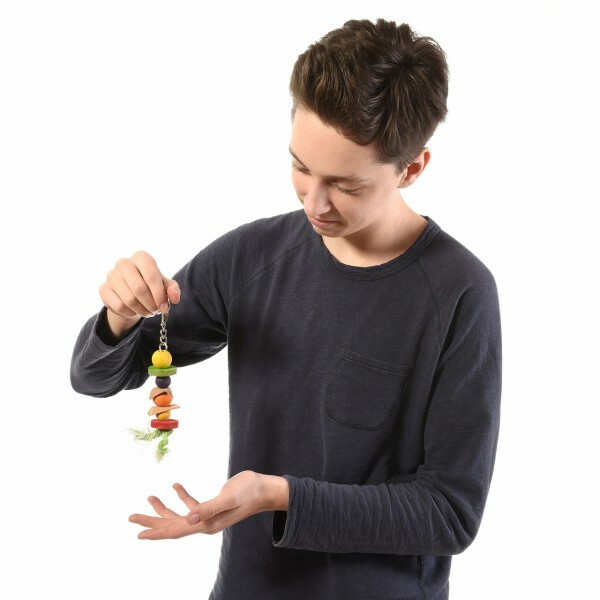 links "Bird Toy Happy Higgledy Piggledy made by HappyBird(R)"
customer reviews on "Bird Toy Happy Higgledy Piggledy made by HappyBird(R)"